Desire Records (4) have announced a reissue of this in both CD and LP. Unknown fact: the title of this record is not 'A Second A Fact'. Actually, it has no title at all. The sleeve designer reinterpreted the catalogue number (FA2) which became 'A Second A Fact' (second release on Factory America). 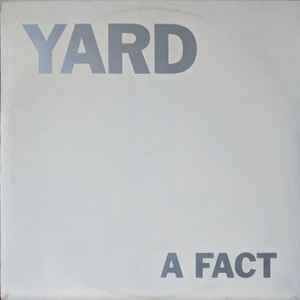 Nowadays we don't know better that Ike yard recorded just one timeless album: 'A Second A Fact'.